So in-demand the public needed a second performance, DJ Shadow is obviously a sought after artist in Brighton. Playing two consecutive evenings in the middle of August at Concorde 2, Shadow even has the ability to freestyle his second night, ensuring both shows weren’t a carbon copy of one another. And this is solely down to his hugely eclectic taste in hip hop; an esoteric brand of music that literally puts Shadow into his own category of music – his own genre if you will. A sample expert like no other. Since his debut album ‘Endtroducing…’ back in 1996, he has amassed an incredible cult following and his fans expect the very best every time they see him. This occasion was no different. The only slight let down was his visual production, which was a little uninspiring in comparison to his previous live shows. Naturally, he has myriad tracks in his back catalogue, though to turn up and play ‘Organ Donor’, ‘Changeling/Transmission 1’, ‘Stem, Long Stem’, ‘Cops and Robbers’ or ‘Building Steam With A Grain Of Salt’ is just not his style, as much as it would still go down a treat with the audience. He is renowned for always playing something a bit different. He plays lots of music that most in the audience would be unfamiliar with. There is a mutual trust between him and his fans. 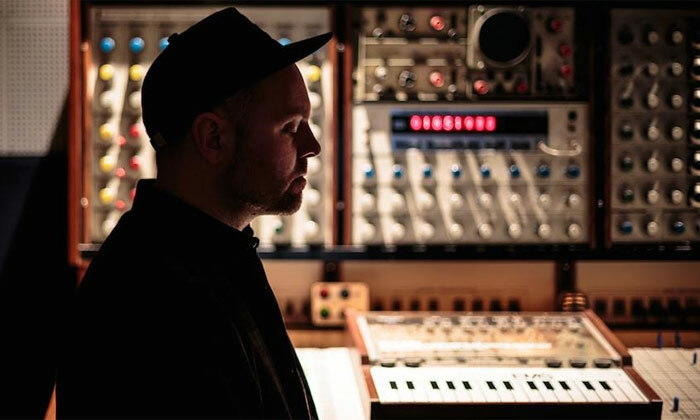 The congregation has faith in their god here, and they know whatever sound is amplified through his speakers, it will be of the highest quality, rare and unique to the sound of DJ Shadow. His unpredictability is key. He did play songs from his most recent album ‘The Mountain will Fall’, though he didn’t play probably his most famous song off the record, which is a collaboration with Run the Jewels. About midway through his set, he surprised the crow by dropping ‘Midnight in a Perfect World’ and the entire place made a noise like they had just watched a WWE star jump off the top of a cage. It was quite a moment, and there were several more to come. Throughout the set he never played what his fans would call his most revered tracks in their entirety. Instead, the master of sampling starting sampling his own music, remixing his hits and dropping them at moments of euphoria. Amazingly though, he finished with a song from an unsigned hip hop artist from his home town of San Francisco. Hardly any artists get away with such a feat, and this amplifies his philosophy and highlights the trust between artist and fan. Not only playing a track no one had heard, but also from an artist know one knows. ‘Endtroducing…’ will always go down as one of the greatest albums ever made, and while there are some fans who wish he would come out and play it from start to finish, when it is in the hands of pure genius, it doesn’t matter what he plays.